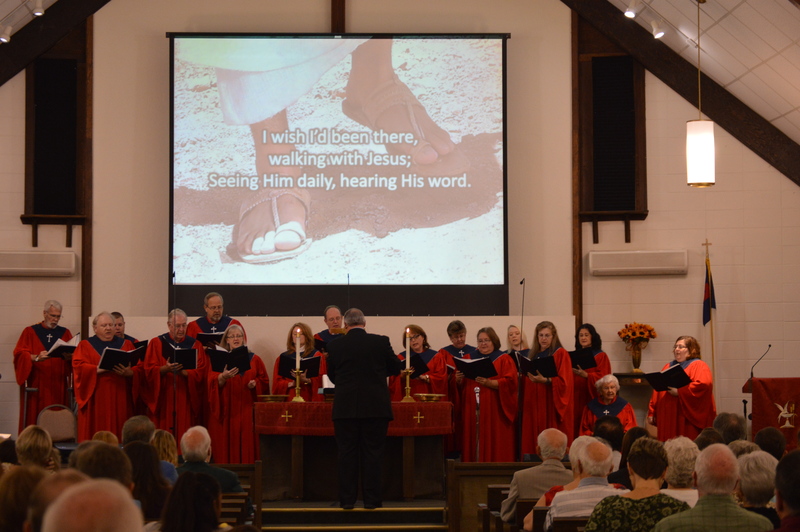 The Chancel Choir sings at the Sunday morning 10:30 a.m. service, as well as special services throughout the year. This choir is open to both youth and adults. Chancel Choir rehearses Wednesday at 7:00 p.m. The Chalice Praise Band is an auditioned group of vocalists and instrumentalists, who accompany and lead our blended Sunday morning service. Chalice rehearses Wednesdays at 8:30 p.m. We are currently seeking a percussionist to join the Praise Band and play our Roland TD-30 kit. The Carillon Hand Bell Choir is a 4-octave Shulmerich© ringing group. The Hand Bell Choir plays for church services as well as local community events. This choir does require some initial musical knowledge and skill. We are currently seeking interested ringers to join our Hand Bell Choir. The Children’s Choir meets Tuesday afternoons as part of the Terrific Tuesday program. Children’s Choir is open to children from kindergarten through fifth grade. They perform full-length musicals for Christmas and Spring. Soloists perform at special events/services and have the unique ability to catch the attention and emotion of the audience. If you are interested in becoming a soloist, contact the worship leader to schedule a consultation and learn how you can get involved.